Scan, repair or delete invalid or unused registry entries in Windows Registry. Stellar Registry Manager 3.0.0 was available as a giveaway on May 24, 2016! 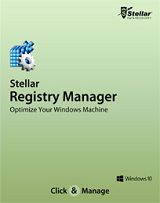 Stellar Registry Manager uses powerful specialized algorithms to scan, repair or delete invalid or unused registry entries in Windows Registry. It also has a special feature to take backup and restore registry information in case any mistake is done while repairing registry. Option to schedule removal of invalid registry by Scheduler. Get 1 lifetime license of Stellar Phoenix Photo Recovery Platinum for the best improvement idea. Please use IdeaInfrmer widget. How would you improve Stellar Registry Manager 3.0.0? View the Registry as it is seen in windows..
Stellar Phoenix Data Recovery for iPhone software is an easy to use application designed to recover Photos, Contacts, Messages, Message Attachments, Call history, Calendar, Notes, Voice Memo, Safari Bookmarks, WhatsApp, WhatsApp Attachments and Apps Library from your iOS device, iTunes and iCloud backup in an efficient manner. Get at $30 discount. Stellar Phoenix Excel Repair is designed to repair corrupted Microsoft Excel (.xls and .xlsx) files. This software scans all selected Excel files and uses an advanced algorithm to restore Excel files back to their original state. Get at $10 discount. Speedup Mac Platinum Edition is comprehensive software that maintains and manages your computer in the best way. It optimizes drive performance, protects data and provides easy-to-use, yet powerful features for storage needs. Get at $50 discount. Recovers deleted pictures, videos and music files from storage devices. Also support repairing corrupt JPEG files. Get at $50 discount. Stellar Volume Repair has been designed to rebuild damaged Mac OS directory. 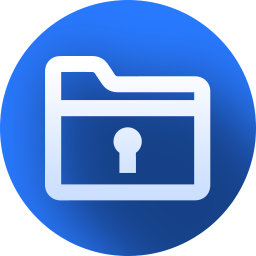 It scans entire volume and checks catalog file, journaled files, extents overflow file, multilinked files, extent overflow file, volume bitmap, and volume information. Get at $50 discount. > You will shortly receive the activation key of Stellar Registry Manager in your email address to complete the registration process. Never had a chance to try it - Activation Key never came. > You will shortly receive the activation key of Stellar Registry Manager in your email address to complete the registration process. Never had a chance to try it - Activation Key never came. Have you entered the right email address ? because I have just entered my email and got the key. Larry, Have you entered the right email address ? because I have just entered my email and got the key. We would like to inform you that we have checked our database and we have not received any registration details from your side. Also we, would like to inform you that the offer has been expired now. Please reply back to this email for further query. > Even though when I attempted to re-register with my e-mail address, it now said that I am already registered, please try a different e-mail address. [ Defrag Boot Files ] appears to work without reboot, does it live, nice feature, but no report, maybe it just dances for a few minutes, who knows? [ Configure Boot Manager ] ... nope, endlessly looked, then "Could not read boot manager data". https://support.microsoft.com/en-us/kb/927387 is enough to scare me away, but why do they offer it? No explanation. NRFPTY ( pronounced "nerf putty" ) Not Ready For Prime Time Yet.
. Quirky, a lot of promise, little fulfilment -- now I'm looking for the one-trick-pony each utility is good for, and this promised ... [ Defrag Boot Files ] appears to work without reboot, does it live, nice feature, but no report, maybe it just dances for a few minutes, who knows? [ Configure Boot Manager ] ... nope, endlessly looked, then "Could not read boot manager data". [ Virtualize file and registry access ] hello, if you don't explain what this is ... https://support.microsoft.com/en-us/kb/927387 is enough to scare me away, but why do they offer it? No explanation. Errors like: Attempted to read or write protected memory. This is often an indication that other memory is corrupt. The specified path, file name, or both are too long. The fully qualified file name must be less than 260 characters, and the directory name must be less than 248 characters. NRFPTY ( pronounced "nerf putty" ) Not Ready For Prime Time Yet. .
Can you tell me WHY I didnt get my license yet? I checked my mail three times (junk also) and noghing after 6 hours. Last time was the same situation. I asked about key for one app and they send me this key when limited time was end. Now again!!. Is that joke or something? NO need for that kind of software, don't mess with the registry if your computer is working...CCleaner is more than enough. Best advice unless you work in the computer repair/developer industry you should never mess with the registry files, one wrong move and you can cripple your PC. Programs such as this are nothing but snake oil, registry files are fairly compact and don't take up much space on your drive. Windows is designed to ignore redundant registry files, the don't cause any slowdowns or interfere in any way. If you want your PC to boot up faster, look at the startup files and delete or delay the unimportant ones and cleaning out the junk files and a weekly defrag and optimization should do the trick. If your PC is still slow, consider more RAM or upgrading your CPU. Just leave the registry as it is and remember making regular backups is always practice. Can't make any comment of this software, I haven't installed it because I simply don't need it. One day while looking at yet another PC optimization tool at this site, someone mentioned Glary Utilities and so I decided to install that and give it a go. My PC was taking awhile to boot, so I used Glary's registry defragger and it made a noticeable difference; not a huge difference, but noticeable just the same. I usually shy away from non-stock defraggers and optimizers, but I did want to regain a bit of boot-up time. Glary Utilities is free for the basic edition and it does a good job IMO. My initial reaction was to give this a try, but when I'm not sure about a program I hop right over to "Softpedia" to see what users have to say about the program and what the editor that reviews the program has to say about it. Not good; neither the users or the editor give this program a good review - not even close to a good review and so I will steer clear of this offering. Dungeon in a Castle. If you don't know what the registry is, how to access it, and if you do know how to access it and what you see looks like a foreign language then leave it alone and go learn about it before messing with it. I learned the hard way; go learn about the registry before learning the hard way. In any case, my other recommendation is leave this offering alone even if your are experienced in penetrating the depths of the dungeon. My initial reaction was to give this a try, but when I'm not sure about a program I hop right over to "Softpedia" to see what users have to say about the program and what the editor that reviews the program has to say about it. Not good; neither the users or the editor give this program a good review - not even close to a good review and so I will steer clear of this offering. My recommendation: if you don't know anything about the registry leave this alone. In the early days of computing I made just about every mistake one can make concerning the registry including deleting programs or making them useless and once wiped my whole drive. The registry is this deep dark place where mortal beings rarely go and fear to tread, like a Dungeon in a Castle. If you don't know what the registry is, how to access it, and if you do know how to access it and what you see looks like a foreign language then leave it alone and go learn about it before messing with it. I learned the hard way; go learn about the registry before learning the hard way. In any case, my other recommendation is leave this offering alone even if your are experienced in penetrating the depths of the dungeon. The best failsafe is a disk/partition image backup. 2nd is an older app called Erunt, which makes a copy of the different files that make up the registry in Windows. In the folder with a Erunt backup there's a file called ERDNT.EXE that you run to put those copies back in place, restoring the registry. If Windows won't start it can be run from a command prompt, e.g. after booting to a WinPE bootable USB stick, Windows repair console etc. 3rd is setting a Windows Restore Point, which is arguably the easiest, but if restoring that doesn't work, as sometimes happens, Erunt should, & if that doesn't work for some reason, restoring the disk/partition backup will work. Of course you can do just one of those, or all 3 -- it's up to you. Why bother with the registry?... An app like Stellar Registry Manager will clean out some entries, making the registry files smaller -- if you look at the app's web page Stellar Registry Manager also offers some other optimizations, e.g. getting rid of junk files & removing privacy-related entries in the registry. Smaller is better, taking up less hard drive space, & taking less time to read into memory. But everything is relative here -- would the little bit of drive space saved &/or the time it takes for Windows to read the registry matter to you? Part of the answer depends on the hardware or device you're using -- a miniPC or tablet may not have much in the way of resources, so it would more likely benefit than a desktop PC. But if you backup 1st, *and can easily restore that backup*, the most you have to lose from trying is the amount of time it takes. I've seen enough posts where people say this sort of thing helped them that I have to feel it's at least possible. That said, if you have the time & patience you can do better manually editing the registry, often with the help of a registry cleaner to find some potential problems, e.g. you may be able to delete an entire key [which may have several lines], where a registry cleaner would only delete one entry. But it can in the end be a thankless task, so be forewarned. You can also use Regshot to record registry changes whenever you install an app, then save those logs [perhaps in the app's folder] as something to go by if you later remove that app. The downside is that you'll often have an awful lot of garbage, meaningless registry entries [e.g. for caches] to go through as you search for those entries that matter. Removing old registry entries can matter some times more than others... More than once I've had problems upgrading to a new version of a program until I removed the registry entries put there by the old version. Windows registry is a database that stores whatever Windows & your software wants it to store -- there are no enforced rules saying you can't put this or that in the registry, & even malware can be written in the registry rather than as a file that your AV software might detect. That can make cleaning out old &/or bad registry entries difficult, because it's harder to say what's good & what's bad when there aren't really any standards. And that's how or when registry cleaning apps can cause problems, getting rid of one or more registry entries that appear to be bad, but are actually required by some software that's been installed. Editing & especially cleaning Windows registry can be a bit of a crap shoot... The best failsafe is a disk/partition image backup. 2nd is an older app called Erunt, which makes a copy of the different files that make up the registry in Windows. In the folder with a Erunt backup there's a file called ERDNT.EXE that you run to put those copies back in place, restoring the registry. If Windows won't start it can be run from a command prompt, e.g. after booting to a WinPE bootable USB stick, Windows repair console etc. 3rd is setting a Windows Restore Point, which is arguably the easiest, but if restoring that doesn't work, as sometimes happens, Erunt should, & if that doesn't work for some reason, restoring the disk/partition backup will work. Of course you can do just one of those, or all 3 -- it's up to you. Why bother with the registry?... An app like Stellar Registry Manager will clean out some entries, making the registry files smaller -- if you look at the app's web page Stellar Registry Manager also offers some other optimizations, e.g. getting rid of junk files & removing privacy-related entries in the registry. Smaller is better, taking up less hard drive space, & taking less time to read into memory. But everything is relative here -- would the little bit of drive space saved &/or the time it takes for Windows to read the registry matter to you? Part of the answer depends on the hardware or device you're using -- a miniPC or tablet may not have much in the way of resources, so it would more likely benefit than a desktop PC. But if you backup 1st, <i>*and can easily restore that backup*</i>, the most you have to lose from trying is the amount of time it takes. I've seen enough posts where people say this sort of thing helped them that I have to feel it's at least possible. That said, if you have the time & patience you can do better manually editing the registry, often with the help of a registry cleaner to find some potential problems, e.g. you may be able to delete an entire key [which may have several lines], where a registry cleaner would only delete one entry. But it can in the end be a thankless task, so be forewarned. You can also use Regshot to record registry changes whenever you install an app, then save those logs [perhaps in the app's folder] as something to go by if you later remove that app. The downside is that you'll often have an awful lot of garbage, meaningless registry entries [e.g. for caches] to go through as you search for those entries that matter. Removing old registry entries can matter some times more than others... More than once I've had problems upgrading to a new version of a program until I removed the registry entries put there by the old version. Microsoft deliberately leave the registry in an obscure state and provide no tools as to understand or manipulate it to any useful degree. This makes it very easy for the developer to make his program uncopyable and of course this applies to Microsoft programs. Microsoft customers pay for this by making it difficult for them to make copies of their programs, how many times have we seen comments here stating that users have lost all the programs from this site, countless! Have been looking for a number of years to find an alternative OS as I find being treated in this manner as being unacceptable, the reason I stick to XP as am unwilling to support Microsoft any further. mike, Microsoft deliberately leave the registry in an obscure state and provide no tools as to understand or manipulate it to any useful degree. This makes it very easy for the developer to make his program uncopyable and of course this applies to Microsoft programs. Microsoft customers pay for this by making it difficult for them to make copies of their programs, how many times have we seen comments here stating that users have lost all the programs from this site, countless! Have been looking for a number of years to find an alternative OS as I find being treated in this manner as being unacceptable, the reason I stick to XP as am unwilling to support Microsoft any further. Windows 10 users have most Optomizers built in. Third party optimizers are a solution in search of a problem that will most likely end in tears. Wise Registry Cleaner is safe for average user. For those who may know what they are doing, RegSeeker is good. Wise Registry Cleaner is safe for average user. For those who may know what they are doing, RegSeeker is good. And I have a laptop with WinXP. And it worked OK.
After making a image and testing LikeNEWPC, the laptop started. Several items were disappeared, like anti-virus, Dropbox. And no internet. And Advanced Systemcare Ultimate is not activated; I never put that program on that Windows. I let it run several times and this time Windows started Ok; several times. I did not notice any improvement; faster, slower . . .
And still the fault with Advanced Systemcare Ultimate. BTW. Stellar Registry Manager 3.0.0 shows every thing, it has found and let the user decide what to do. Last weekend there was a program: LikeNEWPC And I have a laptop with WinXP. And it worked OK. After making a image and testing LikeNEWPC, the laptop started. Several items were disappeared, like anti-virus, Dropbox. And no internet. And Advanced Systemcare Ultimate is not activated; I never put that program on that Windows. Today's program: Stellar Registry Manager 3.0.0 I let it run several times and this time Windows started Ok; several times. I did not notice any improvement; faster, slower . . . And still the fault with Advanced Systemcare Ultimate. And still no internet. And still no Word, Excel, PowerPoint BTW. Stellar Registry Manager 3.0.0 shows every thing, it has found and let the user decide what to do. I did say yesterday in comments that the Like NEWPC software delivers on its promise. They did not bluff anyone. After running the software, you do really get a NEW PC that has just been delivered/bought. i.e. you cannot do anything with it yet. As with any NEW PC, you need to reinstall all the programs you want to use. In reply to Ootje, I did say yesterday in comments that the Like NEWPC software delivers on its promise. They did not bluff anyone. After running the software, you do really get a NEW PC that has just been delivered/bought. i.e. you cannot do anything with it yet. As with any NEW PC, you need to reinstall all the programs you want to use. "NEW PC" not like that. If it is like a new PC, then all devices should be installed and working. On this laptop 6 device's were not installed. And after installing the network device I could not get contact with a network. And on the desktop about 15 short-cut's: not like a new PC. And a new PC should not have rests of other, strange software. In the past I did work with PC's and installed several PC's, Dos 3, Win 2 to Win3.11, Win98 to Win10. Most of the time we did not repair a Windows: we saved all the documents and performed a clean install. And put all the updates on the machine. ric, "NEW PC" not like that. If it is like a new PC, then all devices should be installed and working. On this laptop 6 device's were not installed. And after installing the network device I could not get contact with a network. And on the desktop about 15 short-cut's: not like a new PC. And a new PC should not have rests of other, strange software. In the past I did work with PC's and installed several PC's, Dos 3, Win 2 to Win3.11, Win98 to Win10. Most of the time we did not repair a Windows: we saved all the documents and performed a clean install. And put all the updates on the machine. ric, what would be the difference between installing a program to accomplish that vs formatting and re-installing the OS and all your software? Also, does this utility linger in the wings or it it too removed? After the 2nd scan, and still more "reg debris" found and removed. Windows failed to start. Thankfully Macrium put Humpty Dumpty back together again. My advise to anyone, if it's not broke don't fix your registry. All your doing is asking for problems. You may have some old, unused and out dated bits of data in the registry. If the computer is running okay,,, leave those things alone. It's not a big deal. What this program does to fix those things, you will never notice any big speedup, if any. If you know how to change registry settings. (regedit) Then you already know you don't need this software. Stellar Registry Manager, maybe a great piece of software, but why ask for problems? Be safe! Huh. Optimizers optimizers almost every day. Modern PC:s don't need these software. They do not make miracles. Finally you are messed up with your PC and forced to make a clean install on your OS. Here is a good link to read; it doesn't apply only that spesific software. I suggest to read the article. Your link only points to a certain optimiser and there are many of them, and so to condemn all on this evidence is not logical. There are times when they can be helpful; my experience occurred when the OS was taking more than 20 min to boot, running the optimiser before shutdown stopped this problem occurring. However, whichever one you use or which ever registry cleaner you use, the details of its findings must be such that the user can decide if it is sensible to remove it or not. Today's registry cleaner does not give good information about its findings and quite frankly should be avoided. Jermin, Your link only points to a certain optimiser and there are many of them, and so to condemn all on this evidence is not logical. There are times when they can be helpful; my experience occurred when the OS was taking more than 20 min to boot, running the optimiser before shutdown stopped this problem occurring. However, whichever one you use or which ever registry cleaner you use, the details of its findings must be such that the user can decide if it is sensible to remove it or not. Today's registry cleaner does not give good information about its findings and quite frankly should be avoided. 3CHM shares the software online help here. 3CHM shares the software online help <a href="http://3chm.com/stellar/registrymanager/Stellar_Phoenix_Registry_Manager.htm">here</a>. I highly recommend you don't use this software as there is a very good possibility that if you use it to clean the registry, it will cause problems. I started a scan, but stopped it when I say it has a serious issue with false positives. This means that is was detecting valid registry entries as being bad. Infact the first 22 "errors" it found, were actually valid registry keys which should not be deleted. This is a problem with 99% of registry cleaners. Microsoft designed the registry in such a way, that unneeded registry keys will not slow down your computer. In many years of using registry cleaners on tens of PCs, only once has a cleaning the registry cause a noticable increase in performance. Secondly, it is extremly rare for a registry cleaner to actually fix an problems. While you may have hundreds of thousands or so call registry errors, about 99.9% of the time they simply don't matter, as they won't be slowing dow n your computer ot causing problems. I'm a computer technician and I regularly have to fix computers which are running slowly or have other issues. But, no matter what problems they have, I can pretty much guarantee that cleaning the registry will not help in any way, and when running an unsafe registry cleaner such as this one, they can actually cause more problems. If your computer is running slowly, quite possibly you need more RAM, have too many programs running at once, or your antivirus is slowing down your computer. None of these problems will be fixed by using a registry cleaner. I highly recommend you don't use this software as there is a very good possibility that if you use it to clean the registry, it will cause problems. I started a scan, but stopped it when I say it has a serious issue with false positives. This means that is was detecting valid registry entries as being bad. Infact the first 22 "errors" it found, were actually valid registry keys which should not be deleted. This is a problem with 99% of registry cleaners. I will also add the following. There is no need to every clean the registry, for the following two reasons: Microsoft designed the registry in such a way, that unneeded registry keys will not slow down your computer. In many years of using registry cleaners on tens of PCs, only once has a cleaning the registry cause a noticable increase in performance. Secondly, it is extremly rare for a registry cleaner to actually fix an problems. While you may have hundreds of thousands or so call registry errors, about 99.9% of the time they simply don't matter, as they won't be slowing dow n your computer ot causing problems. I'm a computer technician and I regularly have to fix computers which are running slowly or have other issues. But, no matter what problems they have, I can pretty much guarantee that cleaning the registry will not help in any way, and when running an unsafe registry cleaner such as this one, they can actually cause more problems. If your computer is running slowly, quite possibly you need more RAM, have too many programs running at once, or your antivirus is slowing down your computer. None of these problems will be fixed by using a registry cleaner. one may well have to clear out entries from the registry to get perfectly legitimate reinstallation done. In fact for this very purpose so many companies offer specific cleaning tools targeted at cleaning up the debris that their deinstallation routine left behind. Thousands of invalid entries would not indicate a problem-free machine to me. As we say here, time for tabula rasa. Roger, one may well have to clear out entries from the registry to get perfectly legitimate reinstallation done. In fact for this very purpose so many companies offer specific cleaning tools targeted at cleaning up the debris that their deinstallation routine left behind. BTW I too have great reservation against as offered today Thousands of invalid entries would not indicate a problem-free machine to me. As we say here, time for tabula rasa. "There is no need to every clean the registry, for the following two reasons: Microsoft designed the registry in such a way, that unneeded registry keys will not slow down your computer." FWIW, the problems I've seen re: the registry have often been caused by 3rd party software MS has zero control over. That said, Microsoft also designed Windows Installer software, which is known for all the problems it can cause, along with several other duds, so saying MS designed something to function a certain way *to me* means little or nothing. "In many years of using registry cleaners on tens of PCs, only once has a cleaning the registry cause a noticable increase in performance." You're much more optimistic than I am, since after the 1st couple few failures I'd have felt why waste my time [& perhaps someone else's money]. The one time it did work for you though is why I don't discount these sorts of apps to anyone that might want to give them a try after performing a backup. If someone for example has the time to try Stellar Registry Manager, but not the time or capability to reinstall everything fresh, &/or not the $ to pay someone, after backing up it could be worth a try -- worst case they've wasted some time. "If your computer is running slowly, quite possibly you need more RAM, have too many programs running at once, or your antivirus is slowing down your computer." In my experience, maybe, maybe not... There are a lot of low powered devices running Windows nowadays, & IMHO the amount of RAM is much less important than it was when 7 was brand new. AV software can be a problem, but the major brands aren't too bad now & it's easily detected using Task Mgr. at any rate. What I'd expect to find would be either hardware that's too low powered for what the user wants to do, or a Windows install garbaged up with all sorts of junk installed -- the crapware that often comes on a new device doesn't help -- so IMHO you're correct about too many programs. Roger, <i>"There is no need to every clean the registry, for the following two reasons: Microsoft designed the registry in such a way, that unneeded registry keys will not slow down your computer. "</i> FWIW, the problems I've seen re: the registry have often been caused by 3rd party software MS has zero control over. That said, Microsoft also designed Windows Installer software, which is known for all the problems it can cause, along with several other duds, so saying MS designed something to function a certain way *to me* means little or nothing. <i>"In many years of using registry cleaners on tens of PCs, only once has a cleaning the registry cause a noticable increase in performance. "</i> You're much more optimistic than I am, since after the 1st couple few failures I'd have felt why waste my time [& perhaps someone else's money]. The one time it did work for you though is why I don't discount these sorts of apps to anyone that might want to give them a try after performing a backup. If someone for example has the time to try Stellar Registry Manager, but not the time or capability to reinstall everything fresh, &/or not the $ to pay someone, after backing up it could be worth a try -- worst case they've wasted some time. <i>"If your computer is running slowly, quite possibly you need more RAM, have too many programs running at once, or your antivirus is slowing down your computer. "</i> In my experience, maybe, maybe not... There are a lot of low powered devices running Windows nowadays, & IMHO the amount of RAM is much less important than it was when 7 was brand new. AV software can be a problem, but the major brands aren't too bad now & it's easily detected using Task Mgr. at any rate. What I'd expect to find would be either hardware that's too low powered for what the user wants to do, or a Windows install garbaged up with all sorts of junk installed -- the crapware that often comes on a new device doesn't help -- so IMHO you're correct about too many programs. "Thousands of invalid entries would not indicate a problem-free machine to me. " Problem is, IMHO & FWIW of course, the nature of the registry itself. For all practical purposes it's a junk drawer where software developers can stick whatever they like without thought or care. Installing the average program adds at least several, but sometimes thousands of registry entries that are not strictly needed. OTOH every one of those entries could be perfectly valid, needed or not. So what makes a registry entry invalid? If it was added & used *only* by an app, & not removed when that same app was uninstalled or removed. Assuming that the app in question was indeed removed, there's *usually* no harm from these leftovers, though they do contribute to the registry's overall size. What makes an invalid entry to a registry cleaner? A registry entry that references something else that cannot be found. That assumes that whatever those registry entries referenced existed at one time, which can be false, & is one way [perhaps the most common way] a cleaner can break something. "... many companies offer specific cleaning tools targeted at cleaning up the debris that their deinstallation routine left behind." That, or using Regshot to monitor the installation are the only 2 ways AFAIK to remove all invalid entries caused by & left behind after removing a program. Since those special cleaning tools do not always do a complete job, & since you have no other way to check their effectiveness, always running Regshot during installation is more fool proof. The downside is that it records everything, & there can be quite large amounts registry changes that are irrelevant to the software you installed. 7 is bad, & 10 much worse in that regard. It also require enough knowledge, if/when you remove entries based on Regshot logs, that you don't delete something necessary. Uninstall apps may record an installation, But, they won't show you everything for fear that someone might make a mistake, & thus *to me* useless. Sigrid.DE, <i>"Thousands of invalid entries would not indicate a problem-free machine to me. "</i> Problem is, IMHO & FWIW of course, the nature of the registry itself. For all practical purposes it's a junk drawer where software developers can stick whatever they like without thought or care. Installing the average program adds at least several, but sometimes thousands of registry entries that are not strictly needed. OTOH every one of those entries could be perfectly valid, needed or not. So what makes a registry entry invalid? If it was added & used *only* by an app, & not removed when that same app was uninstalled or removed. Assuming that the app in question was indeed removed, there's *usually* no harm from these leftovers, though they do contribute to the registry's overall size. What makes an invalid entry to a registry cleaner? A registry entry that references something else that cannot be found. That assumes that whatever those registry entries referenced existed at one time, which can be false, & is one way [perhaps the most common way] a cleaner can break something. <i>"... many companies offer specific cleaning tools targeted at cleaning up the debris that their deinstallation routine left behind. "</i> That, or using Regshot to monitor the installation are the only 2 ways AFAIK to remove all invalid entries caused by & left behind after removing a program. Since those special cleaning tools do not always do a complete job, & since you have no other way to check their effectiveness, always running Regshot during installation is more fool proof. The downside is that it records everything, & there can be quite large amounts registry changes that are irrelevant to the software you installed. 7 is bad, & 10 much worse in that regard. It also require enough knowledge, if/when you remove entries based on Regshot logs, that you don't delete something necessary. Uninstall apps may record an installation, But, they won't show you everything for fear that someone might make a mistake, & thus *to me* useless. "so saying MS designed something to function a certain way *to me* means little or nothing"
I agree, and that is why my opinion is based on the experience of cleaing the registry hundreds of times, rather than blindly taking Microsoft's word for it. "The one time it did work for you though is why I don't discount these sorts of apps to anyone that might want to give them a try after performing a backup." There have also been probably about three times when I've cleaned registry, and doing so has fixed a problem (and hundreds of times when nothing has been fixed). I agree with what you're saying, but I would strongly recommend against using today's giveaway, as the chance it will actually delete some valid registry keys is extremly high. I would recommend using Vit Registry Fix Pro (with the Deep Scan unchecked), as I would say based on my experience with it, not only will it find a lot of registry errors, there about a 99.9% chance it won't delete any valid registry keys (as long as Deep Scan is unchecked). While it almost certainly won't make your computer run any better or faster. It won't cause any problems either, so it won't hurt to try it, and the trial version is fully functional. "IMHO the amount of RAM is much less important than it was when 7 was brand new"
You really do need 3 to 4 gigabytes of RAM for Windows 7 to run well these days. The biggest reason for this, is that sometimes Windows Update can use more than 1 gig of RAM. Without enough RAM, Windows will slow down. "AV software can be a problem, but the major brands aren't too bad now & it's easily detected using Task Mgr. at any rate"
My experience from using tens of different antiviruses on many computers (I probably spend way too much time testing different software), is that unless you have a very fast CPU, then some antivirus software can cause significant slowdowns. Even Microsoft's antivirus Windows Defender which is included with Windows 8, 8.1 and 10, can cause very noticable performance issues unless you have a fast CPU. Also, it's worth noting that slowdowns are not only caused by high CPU use, they also can be due to excessive disk use. So, just because Task Manager is not showing significant CPU use from an antivirus, it may still be slowing down your computer. mike, a few points: "so saying MS designed something to function a certain way *to me* means little or nothing" I agree, and that is why my opinion is based on the experience of cleaing the registry hundreds of times, rather than blindly taking Microsoft's word for it. "The one time it did work for you though is why I don't discount these sorts of apps to anyone that might want to give them a try after performing a backup." There have also been probably about three times when I've cleaned registry, and doing so has fixed a problem (and hundreds of times when nothing has been fixed). I agree with what you're saying, but I would strongly recommend against using today's giveaway, as the chance it will actually delete some valid registry keys is extremly high. I would recommend using Vit Registry Fix Pro (with the Deep Scan unchecked), as I would say based on my experience with it, not only will it find a lot of registry errors, there about a 99.9% chance it won't delete any valid registry keys (as long as Deep Scan is unchecked). While it almost certainly won't make your computer run any better or faster. It won't cause any problems either, so it won't hurt to try it, and the trial version is fully functional. "IMHO the amount of RAM is much less important than it was when 7 was brand new" You really do need 3 to 4 gigabytes of RAM for Windows 7 to run well these days. The biggest reason for this, is that sometimes Windows Update can use more than 1 gig of RAM. Without enough RAM, Windows will slow down. "AV software can be a problem, but the major brands aren't too bad now & it's easily detected using Task Mgr. at any rate" My experience from using tens of different antiviruses on many computers (I probably spend way too much time testing different software), is that unless you have a very fast CPU, then some antivirus software can cause significant slowdowns. Even Microsoft's antivirus Windows Defender which is included with Windows 8, 8.1 and 10, can cause very noticable performance issues unless you have a fast CPU. Also, it's worth noting that slowdowns are not only caused by high CPU use, they also can be due to excessive disk use. So, just because Task Manager is not showing significant CPU use from an antivirus, it may still be slowing down your computer. yes, the registry is a dump and what is more, some deinstallers are not even properly programmed to empty all the trash outside the registry, let alone delete or reset registry entries. It used to be common practice ever so often, frequency depending on the kind of user, to reinstall Windows either because the system had got flea and worm ridden, a few dll's deleted by mistake. Though I was never amongst that kind of user, I too had to replace the system by an image, because I found it easier to get rid of useless drivers or software by going this way than by searching Windows forwards and backwards. I gave regshot 2 or 3 tries but found myself out of my depth , with the by then way more complex software with regular updates, etc. However since the days of Win7 I have kept an eye on the registry myself, also letting tools do the searching and me deciding yes, can go for sure, or not so sure, keep. Never ever had an accident. Some two or three years ago I bought an upgrade (new) version to a software, followed the recommendations to deinstall the previous version first and after reboot went ahead with the new installation. However, the upgrade version just would not install. Don't know how many attempts, nothing doing. Temps cleared out, reboots, download repeated, different unpackers tried, stuck. Finally contacted support and learnt oh, Windows 7, yes problems have been reported. The engineers will be providing a patched version soon. Some 3 or 4 weeks the so-called patched version was proudly announced, but this time the zip was corrupt. By then I had already started some searching and found the relatively simple explanation somebody had discovered and which was the sole reason why the upgrade failed in the first place. During the deinstallation one or two entries were not reset respectively deleted. Once deleted setup was no problem. Companies such as Adobe now provide their own thorough cleansers because of their stuff has also been notorious for hiccups or flat refusal when something went wrong or upgrades from certain versions were made, or, or, or. So, in a way, I find it difficult to condemn all registry search tools and on the other hand would prohibit all of these one-click wonders. What I would most of all like to see is a Windows where the actual system is Microsoft only. But give me back a nice modern Win7 any day. I loathe the look and feel of No.10. mike, yes, the registry is a dump and what is more, some deinstallers are not even properly programmed to empty all the trash outside the registry, let alone delete or reset registry entries. It used to be common practice ever so often, frequency depending on the kind of user, to reinstall Windows either because the system had got flea and worm ridden, a few dll's deleted by mistake. Though I was never amongst that kind of user, I too had to replace the system by an image, because I found it easier to get rid of useless drivers or software by going this way than by searching Windows forwards and backwards. I gave regshot 2 or 3 tries but found myself out of my depth , with the by then way more complex software with regular updates, etc. However since the days of Win7 I have kept an eye on the registry myself, also letting tools do the searching and me deciding yes, can go for sure, or not so sure, keep. Never ever had an accident. Some two or three years ago I bought an upgrade (new) version to a software, followed the recommendations to deinstall the previous version first and after reboot went ahead with the new installation. However, the upgrade version just would not install. Don't know how many attempts, nothing doing. Temps cleared out, reboots, download repeated, different unpackers tried, stuck. Finally contacted support and learnt oh, Windows 7, yes problems have been reported. The engineers will be providing a patched version soon. Some 3 or 4 weeks the so-called patched version was proudly announced, but this time the zip was corrupt. By then I had already started some searching and found the relatively simple explanation somebody had discovered and which was the sole reason why the upgrade failed in the first place. During the deinstallation one or two entries were not reset respectively deleted. Once deleted setup was no problem. Companies such as Adobe now provide their own thorough cleansers because of their stuff has also been notorious for hiccups or flat refusal when something went wrong or upgrades from certain versions were made, or, or, or. So, in a way, I find it difficult to condemn all registry search tools and on the other hand would prohibit all of these one-click wonders. What I would most of all like to see is a Windows where the actual system is Microsoft only. But give me back a nice modern Win7 any day. I loathe the look and feel of No.10. So, keep on battling:-) Cheers!